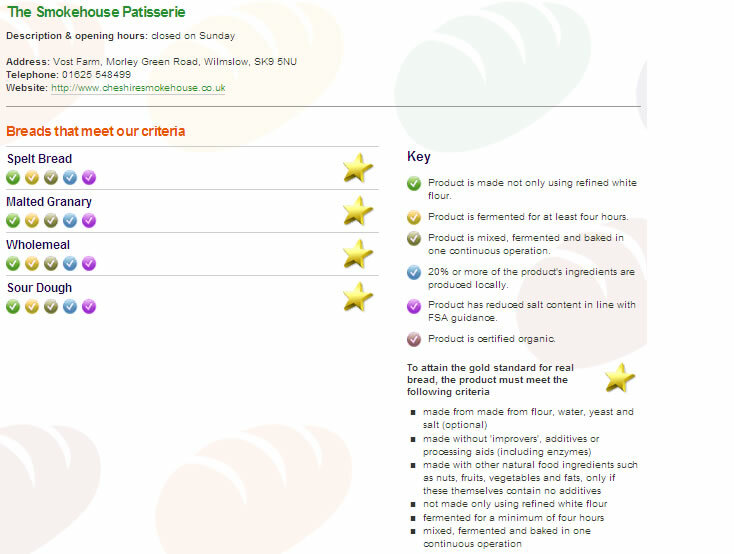 You are currently browsing the category archive for the ‘Farm Shops’ category. It has been long over due sharing details of this wonderful farm shop – perhaps a big statement to make, but I think St Kew Harvest Farm Shop could be my all time favourite farm shop. On our last morning in Cornwall we decided to head to the farm shop to stock up on lovely items before we headed north to home. When we arrived the shop was full of the fragrance of warm cakes straight from the oven. Sat at a little table looking out to the fields beyond, we ate lemon drizzle cake for breakfast and I had a divine cup of hot chocolate. A quick one today as I’m down with my family in Gloucestershire, but these were another delicious discovery from Glebe Farm Shop outside Congleton – pikelets with raisins. I remember pikelets as a child, but I’m pretty sure they were supermarket versions which were like flat crumpets. These pikelets were more like a scotch pancake and studded with raisins. We just popped them in the toaster and slathered them with salty butter. Today I went to Biddulph Grange Garden in North Staffordshire – to write up a piece for the sustainable food newsletter I edit in my volunteer role at the National Trust. I would highly recommend visiting the gardens here if you are in the area or looking for a day out – they are utterly breathtaking. My photos don’t do it justice. But what I wanted to share was my discovery of Staffordshire oatcakes. They are a bit like a pancake or crepe, and I tried them for lunch in the National Trust tearoom, rolled up with cheese inside and heated until piping hot. All the cheese was oozing out the ends – delicious. They were really quite tasty, especially with all that melted cheese – I must investigate how else you can use them and what other ingredients you can stuff inside them. I’m assuming most things, but I wonder if there are traditional ways of eating them. Luckily I was able to buy myself a packet of Staffordshire oatcakes from Glebe Farm Shop in Astbury. I was told they were locally made in Congleton, freezeable, and I can’t wait to try them out at home. Today (unexpectedly!) I am part of a feature in the Independent newspaper on the 50 best farm shops. I say unexpectedly as it was supposed to be going in next week – but it’s come out a week early. I just wanted to correct a mistake as well, in the paper it says that this blog, Eat the Earth, is the sustainable food newsletter of the National Trust. It’s not. This is my own, personal blog about the food I enjoy growing, eating, cooking, and discovering. There seems to have been a bit of a muddle and they’ve combined two elements of what I do. I am a volunteer editor of an internal sustainable food newsletter for the National Trust, but it’s not anything to do with this blog. I also just write this blog in my free time. So apologies for any confusion. Now this is how I like my meat – slow cooked, full of moisture and soft enough you can pull it apart with a fork. But up until now we haven’t really cooked meat like this, but after spotting a rather good-looking piece of pork belly at Davenports Farm Shop this was the moment. We followed Jamie Oliver’s recipe for Pork Belly Roast and it didn’t let us down – not that any Jamie recipe ever has, I don’t think. On top there was a layer of golden, crispy crackling, and beneath the meat was flavourful and soft. We ate it drenched in gravy, with a pile of fluffy and super buttery mashed potato, and peas and broad beans. De-lish! Definitely one to make for friends. We are spending the weekend in the Cotswolds with my family, and popped into The Organic Farm Shop. On the road in there is a wooden area with a lovely family of piggies rooting about beneath the trees. After calling to them, two little piglets trotted over to investigate – they reminded me of the two pigs in Beatrix Potter’s The Tale of Pigling Bland. They were so gorgeous with their pink snouts smudged with rust coloured earth, their cheerful grunting and inquisitive eyes. But they soon got bored and pottered off to find good patches of soil to snuffle in. These two were sat in a dip, one sprawled out, the other on its haunches, enjoying the afternoon sun and licking each other – how I wish I had a better zoom at times like these! If ever there was a winter dish this was it. I’m pretty sure it must be quite healthy, all those lentils and greens, plus a good dose of garlic. Anyway…what matters was it tasted fantastic. This is one of those meals where the quality of the ingredients really makes the difference. I used Puy Lentils, organic cavolo nero, and incredible coiled Italian sausages (that I picked up here). These incredible Italian sausages were simply popped under a hot grilled for about 5-6 minutes on each side until they were golden. I even drained the little amount of amber coloured fat that pooled in the coils into the lentils – waste not want not! The lentils (about 200g for 2) were covered with water, with a bunch of tied parsley stalks, a peeled garlic clove and a bay leaf. Simmered for about 15-20 minutes until soft, then drained. I mixed in a splash of sherry vinegar to taste, seasoned well with salt and pepper, and stirred through chopped parsley. Finally mash the garlic clove and stir in. I’m not a huge cabbage and kale lover, but cavolo nero I have a bit of thing for. First I chopped it up, popped it into a large pan of salted boiling water and let it cook for 3 minutes before draining. Cool it immediately with cold water, then squeeze as much liquid out of it as you can. When you’re ready to eat, gently fry some sliced garlic in oil then add the cavolo nero and stir to warm through.